The text and illustrations are still charming, and the book encourages children to interact with them, as well as perhaps prompting the reader to think a little more of pets and animals away from the book. We have hundreds of books that we read in the pre-reader era, but I don't recall one that featured a spinner so well. Whether it is you turning the spinner to ask the child a question, or the child turning the spinner to answer another or ask one of their own, it works terrifically. 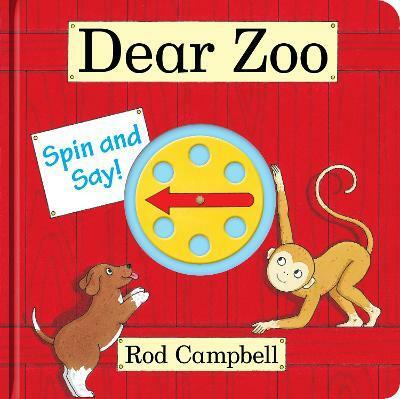 Rod Campbell has been writing and illustrating children's books for over thirty years. Best known for his classic lift-the-flap book, Dear Zoo, he is also the creator of the much-loved preschool character Buster. Ingeniously simple, with touches of gentle humour, Rod's books are loved by children, parents and teachers alike.